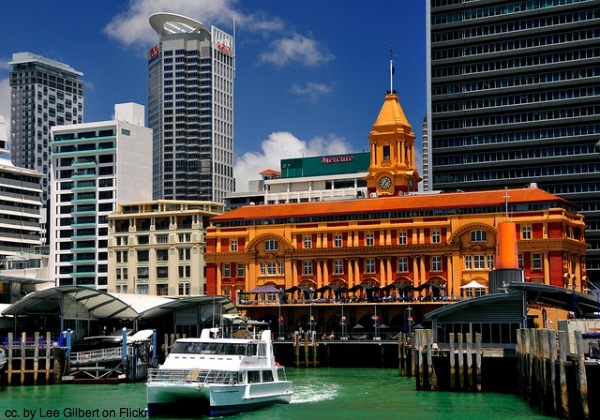 The Auckland waterfront has undergone huge changes in the post 20 years, as it has shifted from being the working hub of the city. And what better way to see it than a new free bike hire service. I tried it last week and it is fantastic. 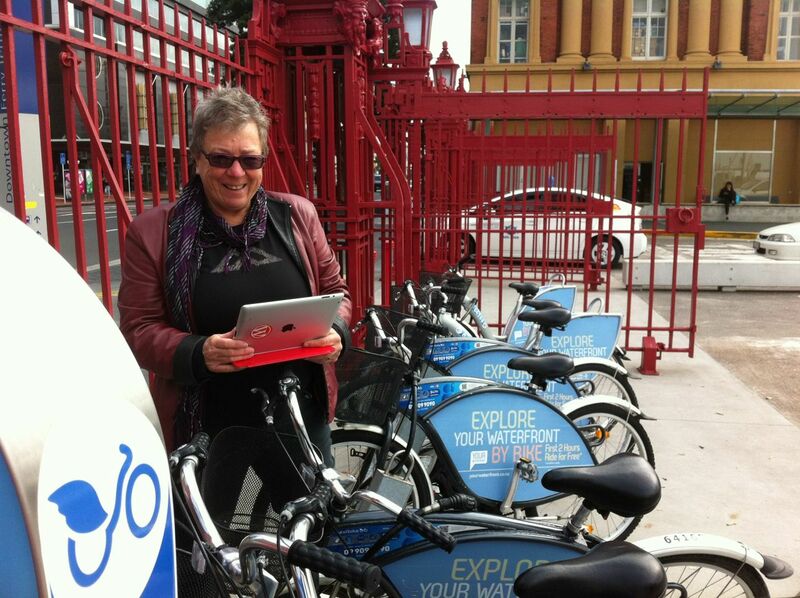 You can hire the bikes for 2 hours for free from two spots – Wynyard Quarter and Queens Wharf. 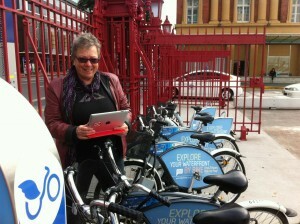 You need to register on the website Next Bike – Just register a mobile phone number and credit card – it only costs $4. Then you can rent multiple bikes off that number. You register the number, then they txt you the combination to enter to release the bike. A small charge incurs for over 2 hours. Container terminals have taken over from sheds and piers which have been converted into places to walk and bike, places to eat and drink, places to watch the water and the boats. We found the two hours free bike hire was more than enough to cycle around the following areas, as well as a stop for lunch. 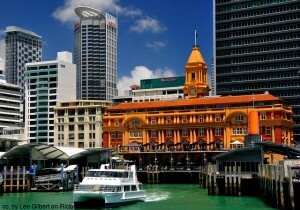 The Ferry Buildings – from this historic building you can catch a ferry across the harbour to Devonport, or to one of the off shore islands – Waiheke, Tiritiri Matangi Nature Reserve, Rangitoto Island. 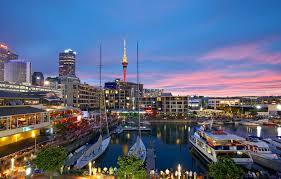 The Viaduct basin – once the domain of fishing boats was developed into a vibrant precinct during the America’s Cup. 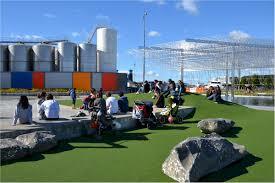 Queens Wharf beside the Ferry Building is no longer wall to wall imported cars, it has the The Shed and The Cloud – which became the focus during the 2011 Rugby World cup. Next time I will opt for a longer ride – turn right at the waterfront and drive up to 10 kms around the Auckland waterfront to Mission Bay or St Helliers, or beaches in between.